In 2008, a venture backed startup called FooMojo Inc. created a Facebook game called GoPokey. After showing some initial traction the company closed a significant round of financing to monetize the product and build multiple platform extensions (Facebook, CyWorld, destination site, iPhone and downloadable desktop app). 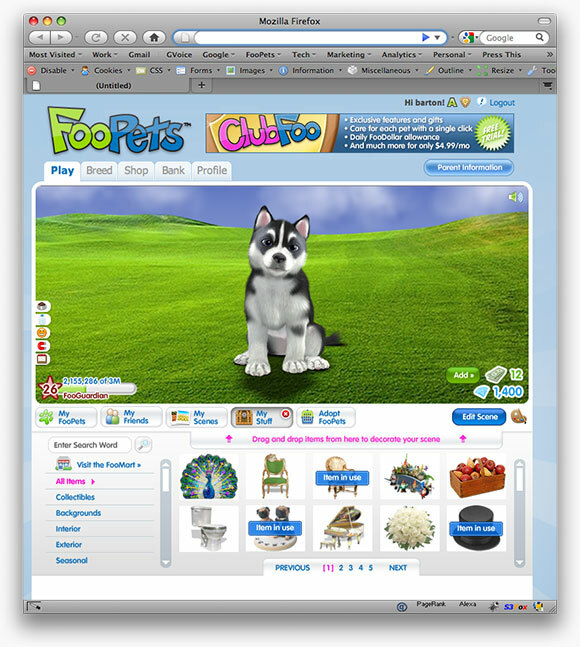 The product was renamed FooPets and is now home to over 9 million registered users. At its peak, FooPets attained 600k monthly active uniques, 280k daily active uniques and $30 average revenue per paying user. The FooPets destination site was developed as a COPPA compliant game with an emphasis on safety, responsible pet care and a subscription based revenue model (supplemental virtual currency could be purchased for premium decorative goods, breeding licenses and additional pets). 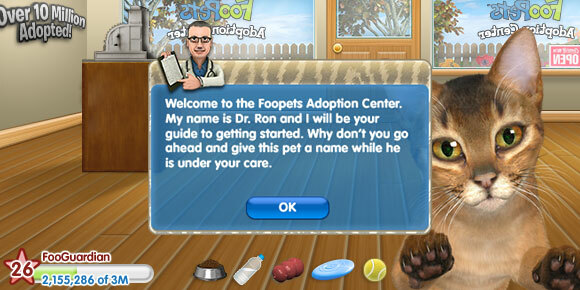 In addition to the core pet sim experience users could play a variety of mini-games to earn XP and secondary currency. Most games were built in Flash but pets were also ported into Unity where users could explicitly control their pets in a fantasy 3D setting. Unfortunately, the Unity plugin download was a barrier to most users therefore a Flash based "Away3D" environment was built to showcase pets in a pseudo-3D experience while still allowing for more interactive control over their pets. Members of the Resonant Games team provided front end and backend engineering as well as product direction and design.